Why choose this online CIPP course? Prepare fast and effective for your CIPP/E or CIPP/US exam with our easy online training. This training is designed to follow the course outline and pays extra attention to the parts that are most represented in the exam. Train where is most suitable for you. You don't have to attend classes. This saves you a lot of time. You also decide when to train. At night, in your lunch break or when you are traveling. Our E-Expert will guide you through the body of knowledge and answers your questions. If you want our E-Expert can monitor your progress and give feedback to help you study even more effective. We offer simple, full online CIPP training … and we are the only one doing this! Study any time, and time. At your own pace. Combine e-learning with personal guidance. Boost your company and your career! 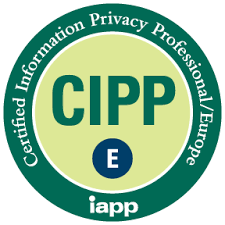 CIPP, CIPP/E and CIPP/US are registered trademarks of IAPP.